Edward Martin has had some health problems and is resting at the hospital in Scotland. I spoke with the night nurse today and he will hopefully be going home sometime later this week. 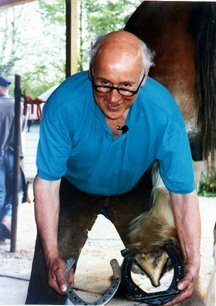 In case you don't know him, Edward Martin FWCF MBE is the worldwide spiritual leader of the farrier community. If there is such a thing as a living legend, he is one. If you would like to send Edward a card, write to Edward Martin, Field's End, Closeburn by Thornhill, Dumfries, Scotland. This nice photo of Edward in better health was taken by our friend Alice Johnson. Thanks, Alice. What's up with farriers and vets in the UK? A change is afoot. The first clue was when it was announced that our friend Simon Curtis FWCF Assoc.RCVS, would take over as chairman of the Farriers Registration Council. Simon will not be the Registrar, as had been rumored; Miles Williamson-Noble will remain in that position, which is the chief administrator's role. The bombshell came with a quote in this week's Horse & Hound from British Equine Veterinary Association President Chris Rea. In commenting on the statuatory review of the veterinary sugeons act in the UK, Rea told H&H: "The review of the Veterinary Surgeons Act....will include the regulation of para-professionals- every one from physios and equine dentists to MAYBE farriers". [Horse and Hound, 28th Dec 05]. This is not a power-grabbing move by the veterinarians, however. In actuality, it has been proposed that the veterinarians will lose power, since one of the proposals is that they will no longer be self-governing but will have to answer to a board of non-veterinarians. The new board might be an umbrella over the vets and animal husbandry para-professionals. We live in interesting times; no matter where you go, changes are being discussed. On February 8, 2006, USDA APHIS Animal Care will host a Listening Session from 8:30 a.m. to 1:00 p.m. at the Blue Ribbon Circle Club on the Celebration show grounds in Shelbyville, TN. This meeting will be the first of six Listening Sessions Animal Care will host in 2006 all around the country, including sessions in Springfield, MO, Chattanooga, TN, Temecula, CA, and Dallas, TX. 3) Share information with the public about past, present, and future activities of the Horse Protection program. USDA will first present an overview of the Horse Protection Program, followed by an open microphone session for people to share information with USDA. A transcription service will be present to capture all comments on paper, which will in turn be posted on Animal Care's Horse Protection web page. Persons interested in horses regulated by the Horse Protection Act are encouraged to attend and share their thoughts. 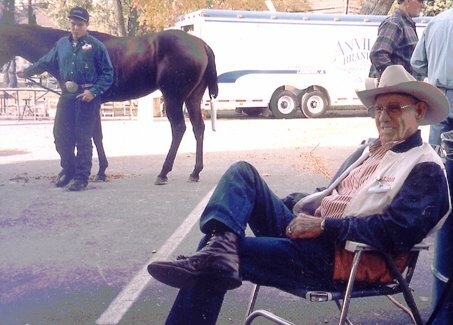 Arky Pillsbury,the eternal official farrier at the All-American Quarter Horse Congress, has died in Florida. He was 89. I will post more details as soon as I know them. Arky was recently the subject of a wonderful tribute in the Quarter Horse Journal. They printed a photo of his smile as a full page photo. That smile was a permanent part of Arky's face. What a wonderful man. I will miss him. The Congress will never be the same. I am very sad to tell readers and friends of Hoofcare Publishing that Tom Ivers has died. 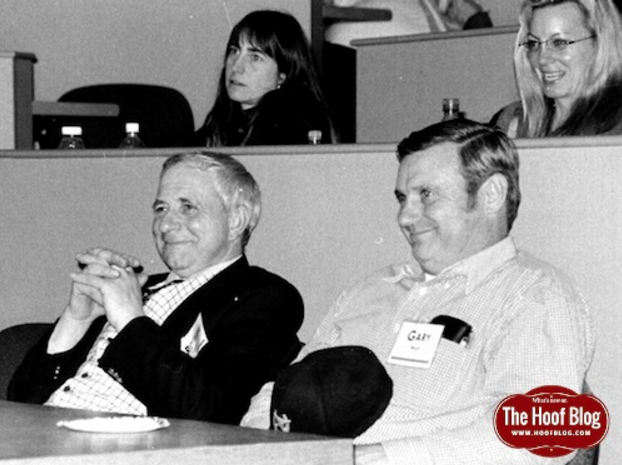 Tom was a controversial figure in the sportsmedicine and training world--and he loved being a controversy. He wore it as his badge of honor. I worked with Tom for many, many years and sold his books, tried his supplements, listened to his theories on interval training. He was a brilliant man who wanted to see horse performance and racing break new ground. He was especially helpful to me with his web-based discussion group "Equinescience". He was opinionated about feet but always kind to Hoofcare & Lamneess Journal and to me. Tom Ivers, equine scientist and author of several horse racing books including The Fit Racehorse, passed away on Sunday after a battle with lymphoma. Ivers, 61, published nine books as well as newsletters, articles, advertising copy, scientific research, computer software documentation, and instructional videos on equine sports medicine. Ivers was one of the first to incorporate interval training into the training of equine athletes and was founder and president of Equine Racing Systems, Inc., an equine sales and consulting company based in Washougal, Washington. The Third International Equine Conference on Laminitis and Diseases of the Foot taking place in West Palm Beach, FL on November 4-6, 2005 will go on as planned. The Palm Beach Convention Center and the West Palm Beach Marriott sustained very minimal damage and both are open for business. Hoofcare & Lameness, Journal of Equine Foot Science, Issue #79, has been published. Subscribers and advertisers seem pleased with our new look, new paper, and most of all, great new design! Article topics include collateral ligament injuries, deep sulcus thrush, hoofcare at the Spanish Riding School of Vienna (Austria), toe wedge tests for chronic laminitis heel trimming, Chris Pollitt laminitis research update, hoof wall anatomy stereo-photo poster, Matthew Brady centerfold poster of government farriers assembled during the US Civil War, frog "graft"(tissue transplant), and pearock as a paddock footing for hoof rehab. In the news section: clarification of shoe rules in Arabian, Saddlebred, Mini divisions; wild horse hoof dissection with Pete Ramey; Bob Pethick's AFA specimen shoe with onion heels; Manfred Ecker's "salad" shoe; Scott Lampert's high speed video paired with Haydn Price's Equinalysis software for jumper takeoff/landing analysis; facts about swimming horses; visit to Saratoga, with a farewell to farrier Charlie Campbell. On the community page, we have a FREE dvd on laminitis for subscribers, information about Chris Pollitt's new web site (www.laminitisresearch.org) and announcement of Puppet Tool, an animated software site where you can have fun with biomechanics and a very flexible young warmblood foal. We also introduce our new reader comprehension/self-assessment testing module with Dr. Doug Butler to help readers review content in the issue and imbed more information for use on the job. And then, there's....so much more. But see for yourself! If you are not a subscriber, please visit www.hoofcare.com to use our secure server and begin your subscription with this special issue. Cost is $59 in USA, $69 in Canada, and $79 overseas. Single copies are $20 each plus postage. AFA's NO FOOT NO HORSE TV Show Airs Soon! Will someone tape it for me? Are you planning to attend the 3rd International Equine Conference on Laminitis and Diseases of the Foot in Palm Beach next week? I know a lot of people are concerned about the weather. I have been monitoring reports from West Palm Beach today about damage from the hurricane. So far, so good. There is some damage, but it doesn't sound like the Apocalypse. One report said that the Kravitz Performing Arts Center, which is next to the Convention Center and part of the CityPlace complex, was not damaged. We'll keep you posted. Let's hope everyone, everywhere is ok.
Click below to go to our special blog for the conference. See you there! a demonstration horse in New Hampshire. I went to a seminar with one of my favorite farrier experts, Paul Goodness, last week. Paul is certainly a product of 20th century farriery. With a 20-year career at the top of the international sport-horse world behind him, he's now neck-deep in a nine-farrier practice that offers what is probably one of the best apprenticeships available anywhere in the world. Even vets go there for informal internships. Paul did a great demo at New Hampshire's Rochester Equine Clinic of what he calls "sole-glueing" (also called direct-glueing) and then mixed a post-surgery toe extension for an flex-deformity foal from Spectra fibers and Equi-Bond, etc. No nails in sight at that seminar. Paul says that the farriers in his practice glue more than half of the horses that come through his shop. 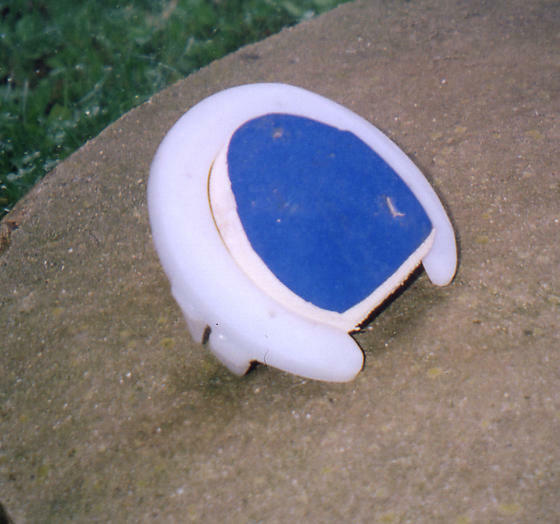 A Mustad glue-on shoe with a wrestling mat insert. Another found-object farriery fix from Paul was the sticky back foam tape used to seal truck caps onto beds (and lots of other uses, especially if you have a boat). Paul cut it to fit the toe of a Natural Balance shoe, and in another instance, a heel. Sort of a quick rim pad with a slight cushion, but you can cut it to fit whatever part of the shoe (or, rather, the foot) needs it. A surprising story from Paul: He needed to alter a shoe for a lame horse so he was looking for a creaser, in preparation for punching a hole for a heel nail. He couldn't find a creaser anywhere on his tool table. He asked two of the first-year apprentices if they had taken his creaser. "What's that?" they asked. Paul has a unique approach with his apprentices. He looks for young people who are experienced in working with horses and often recruits grooms. Their training starts with the horse, and progresses to understanding the foot. "I can teach people forging later in their training," Paul told us. "But I can't teach someone to have a "feel" for working around horses. You have to be good with horses and get into the foot. That's where I start them. Forging skills can wait. I can teach that to anybody." Hoofcare & Lameness will be working on setting up tags and links through technorati.com in the next month or so. Stay tuned! It will soon be easier than ever to get all the hoofcare news! Amazing. Someone beat me to a buzz word...and my hat is off to him or her. Soft-shoeing is the descriptive term for use of plastic shoes, artificial wall, and boots instead of steel and nails. Another descriptive term is "anvil-free horseshoeing" or 'anvil-less" but that is hard to say (and spell). I know a lot of traditional farriers poo-poo plastic shoes and all, but maybe it is not so far off as we think. I wouldn't want to be in the plastic shoe business right now, waiting for 20th century farriers to accept them. Unless I knew I had a really good shoe, the one that is going to change their minds. As always, we live in interesting times! A post card tumbled out of the pile of mail today. It's an announcement from Dr. Ric Redden that he is reopening his private equine podiatry practice in Versailles, Kentucky. You can call Doc for consults or referrals at 859 873 5294. His web site is www.nanric.com. Welcome back, Doc! Hoofcare & Lameness Journal received the following report from Bryan Quinsey, executive director of the American Farrier's Association on Sunday, September 11. Thanks to Bryan for reporting in! The AFA General Membership Open Forum Meeting was held on Friday, September 9, 2005 in Omaha, Nebraska. Over seventy AFA members attended the meeting where attendees where afforded the opportunity to ask questions and make comments regarding farrier education, licensing, and registration. On Saturday, September 10, 2005, the Mid-Year Board of Directors Meeting was held. The official minutes of that meeting will be available within the next thirty days. 1. The Board approved an Educational Marketing Alliance Agreement with the American Quarter Horse Association. 2. Rescinded a motion passed at the February 23, 2005 meeting of the Board of Directors relating to Farrier Education and Registration. 3. Agreed that all future statements, advertising, and media related material concerning farrier licensing be halted immediately pending review by the Board of Directors. 4. Accepted the recommendation of the Convention Coordinating Committee to hold the 2009 Annual AFA Convention in Chattanooga, Tennessee. a. Create a series of AFA Regional Conferences throughout the country (to begin in 2006). b. Create a "Horse Owners Desk Reference" that will be distributed by the AFA members. c. Create a new category of sponsorship called "Certified Education Partner". 6. Approved the offering of a Personal Accident Indemnity Plan and a Personal Cancer Indemnity Plan from AFLAC for AFA members. 7. Re-elected Don Gustafson, CJF as chairman of the AFA Nominations & Elections Committee. 8. Re-elected Jeff Ridley, CJF, TE as the Board of Directors Representative to the AFA Executive Committee. Additional motions were approved and will be reported in their entirety in the official minutes of the meeting. Note: more information about the AFA is available at their web site, www.americanfarriers.org. A two-day meeting has just closed in Oklahoma City, OK; Can you say “American Farriers Education Council”? Let’s just call it AFEC. 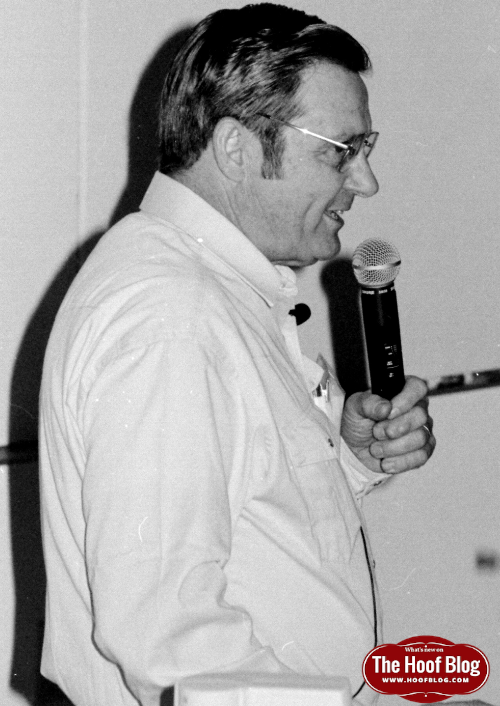 Many pundits on the sidelines of farrier politics thought that when Oklahoma State Horseshoeing School owner Reggie Kester called a meeting of school owners and instructors, the result would be a massive attack on the American Farrier’s Association, whose task force on education and registration in early 2005 was highly critical of the farrier education system in the U.S. According to Dr. Butler, 16 farrier schools were represented; a total of about 25 people were in attendance. AFEC certainly did vent its frustration over recent negative publicity, but most instructors are long-time members and supporters of the American Farrier’s Association and are hoping for improvement in relations following the AFA’s mid-year Board of Directors meeting in Omaha in early September, which will include an open forum on farrier education and licensing. AFEC’s frustration is outlined in a list of 16 resolutions related to AFA politics and makes clear the AFEC stand that blanket criticism of farrier education will not go unanswered. According to Chris Gregory FWCF of Heartland Horseshoeing School in Missouri, there are 47 farrier schools in the US. Hoofcare & Lameness has identified 24 private schools and 11 college/university-affiliated schools that offer courses aimed at complete beginners. Our criteria was that a school be “brick and mortar” and teach a residential horseshoeing course. There are a few schools that we just don't know much about. Other schools teach only advanced courses or short seminars as enrichment for working farriers; still others teach night courses for horse owners who wish to learn to care for their own horses. We also found two schools that teach horseshoeing by distance learning (aka “correspondence course”). 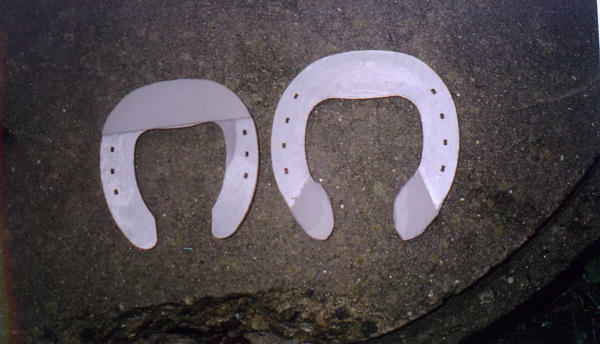 In the fall of 2005, two new farrier schools will open in the USA that will teach new ideas in farrier science, such as barefoot hoofcare, hoof boots, and plastic horseshoes. Officers of the new association are Reggie Kester (Oklahoma State Horseshoeing School) President; Bob Smith (Pacific Coast Horseshoeing School) Vice President and Spokesperson; and Susie Goode (Tucson School of Horseshoeing) Secretary-Treasurer. Among the accomplishments of the group, in addition to the formation of the association and the hashing out of a list of resolutions related to AFA politics, were the resolution that member schools would adopt the use of a standardized curriculum based on the new edition of Butler’s textbook. He will work with AFEC to create testing modules to monitor students’ progress through the lessons in the book. Another key development is the addition of continuing education events to attract graduates back to their alma mater farrier schools for upgrading of skills or certification levels on an annual basis. For more information, please contact Bob Smith: pchs@farrierschool.com or call 916 366 6064. I was not there so I can’t answer your questions. I am posting an image file of a press release and resolutions from AFEC and hope it is readable. if you click on the image, you will go to a photo page and in turn can scroll through both pages of the news release and view the resolutions. This information will also be posted on www.hoofcare.com as soon as possible for easier reading and downloading. The case involves the high-profile dressage mare Annastasia, who was the national dressage champion of France in 2000 but was British-owned. The owner insisted that her own British vet be involved in care decisions, while the horse was under the care of the French team veterinarian. Ultimately, both British and French veterinarians were named in the suit. In 1999 and again in August 2001, the horse received corticosteroid injections and, on the second instance, developed laminitis and was destroyed due to the severity of the laminitis. The assumption is that the steroids directly led to the sudden and severe laminitis attack. The judge agreed that the owner might have refused the treatment if she had been told of the risks. He placed 85 percent of the liability on the French veterinarian, with 15% on the British veterinarian. Farrier John Godwin was key note speaker on shoeing the thoroughbred racehorse at a farriers’ workshop held at the University of Melbourne's Equine Centre at Weribee, Victoria in June. There were 47 attendees at the workshop sponsored by Racing Victoria, Virbac and Decron. The farrier’s seminars are a joint initiative with the Farrier’s & Blacksmith’s Association of Victoria, the Victorian Master Farrier’s Association and the Equine Centre. John is a Hoofcare & Lameness subscriber who lives near Perth in Western Australia, where he specializes in racehorses. The University of Melbourne's Equine Centre is a division of the Veterinary Clinic and Hospital which is a department of the Faculty of Veterinary Science. It is one of only four University teaching hospitals in Australia that also operates as a specialist equine referral clinic. The Equine Centre provides veterinary care for over 3000 horses 24 hours a day 365 days a year; and provides training for over 80 veterinary students each year. Congratulations to dressage-specialist farrier James Gilchrist and Palm Beach Equine Clinic veterinarian Kimberly Dawn Snyder; they were married on May 29 at The Breakers in Palm Beach, Florida. Hoofcare & Lameness Journal editor Fran Jurga has returned to the office after a quick trip to Vienna, Austria to assist the Spanish Riding School there with media and hoofcare preparations for their upcoming USA tour in November. The famous white Lipizzaner stallions may be in need of farrier assistance when they tour, since they are not bringing Herr Gerstner, their independent-contractor farrier, with them. They require highly techical Euro-style shoeing, which looks deceptively simple. All are shod with Dutch shoes with toe clips, front and hind; a few are barefoot behind. This is the SRS's first USA tour in 15 years. 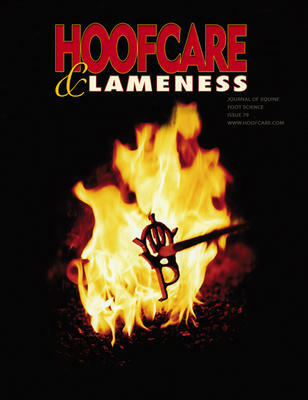 Read more about the Lipizzaners and their feet in issue #79 of Hoofcare & Lameness Journal. Perhaps due to popular demand, a special Open Forum Membership Meeting of the American Farriers Association has been scheduled for Friday, September 9, 2005 at 1 p.m. in Omaha, Nebraska. All AFA members are welcome to attend....the next day, the AFA Board of Directors will be meeting for their 2005 Mid-Year meeting....recommendations from the Open Forum meeting on Friday can be brought to the Board meeting for their consideration.....AFA Vice President Bob Earle, CJF, has agreed to serve as the moderator for the meeting....using a “loose set” of Robert’s Rules of Order. Hotel reservations may be made by calling the Omaha Hilton at 1-800-HILTONS or (402) 998-3400; the AFA discounted rate is $75 per night. For more info, contact Bryan Quinsey at the AFA office: (859) 233-7411 or BQuinsey@AmericanFarriers.org. Please do not call the Hoofcare & Lameness office about this event. We will share any info we receive by either this blog or the hoofcare.com web site. Please read posts on this blog and at hoofcare.com for information on this spring's events related to the AFA's task force on farrier regulation/licensing in the United States. Hoofcare & Lameness is happy to share news that farrier and rodeo trick roping performer Brice Chapman of Lubbock, Texas has published a coloring book for children. The 28-page fun-filled book is almost as entertaining as watching Brice perform. It teaches children about caring for their horses and especially about hoofcare and horseshoes. Brice is the look-alike, talk-alike, make-them-smile-alike son of famous farrier and heartbar shoe pioneer Burney Chapman, who died in 1999. Brice Chapman never runs out of ideas to make people laugh and feel good. 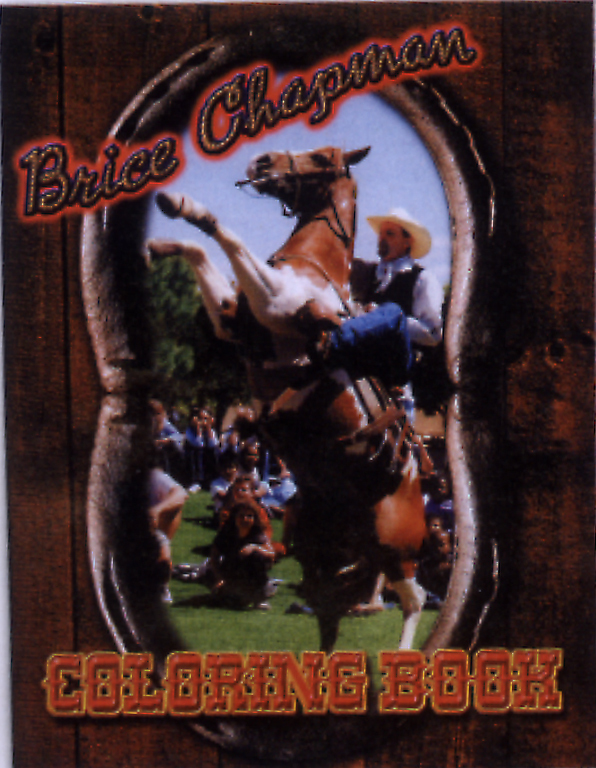 When Brice isn't performing, he visits elementary schools and works with children, many of whom have already endorsed the coloring book with a high-pitched "Yippee!". Brice travels with two sidekicks, a Border collie named Sooner with a very high IQ, and a trickster Paint horse named Crossfire. I expect they will have their own TV show soon. You will be able to order the new coloring book through Hoofcare & Lameness Journal and www.hoofcare.com on or about the 10th of June. The cost will be under $10...it's for the kids, after all! I hope you will join me in helping children everywhere have some educational fun with horses, dogs, and friendly people. This coloring book is a big step in the right direction! This just in...scroll down the blog to March 2005 for more about Gary's death. Gary was the farrier at Walt Disney World in Florida. I will paste from the original post. A New Veterinary College for New England? A University of Connecticut board of trustees committee is weighing options for establishing a veterinary college. They discussed a consultant's report yesterday indicating it would cost between 35- to 95-(M)-million dollars to build the school for 100 students. It could take up to 14-(M)-million-dollars a year to run it. Currently the only vet college in New England is Tufts,with campuses in North Grafton and Boston, Massachusetts. Connecticut farrier Geoff Goodson has resigned as president of the Southern New England Farriers Association, along with vice-president Roy Amaral and certification chair Michael Windsor. Sean McClure is now president, John Blombach is vice-president. The three officers resigned at the June 1 association meeting, and Geoff called the Hoofcare & Lameness office on 2 June to let us know. One of the many popular topics covered by Hoofcare & Lameness is the importance of the collateral ligaments of the coffin (distal interphalangeal, DIP) joint. Sue Dyson, lameness veterinarian of the Animal Health Trust in England, has written a super article on injuries to the ligaments and how to identify them. We pair this with a compelling discussion of the movement of the coffin (distal phalanx, P3) bone by Jean-Marie Denoix. He termed the word "collateralmotion" to describe how the coffin bone moves slightly to the inside or outside, in a gliding motion, which most people do not usually consider when they consider the foot and what might cause lameness. The collateral ligaments stabilize the coffin joint and allow the limited amount of gliding that a sound horse requires. Excess gliding may injure the ligaments, causing lameness. Conversely, excess gliding (such as "lunge til dead" training techniques) can injure the ligaments. It certainly is hard to illustrate, however! Denoix has a superb article in the January 2005 edition of Equine Veterinary Journal about how the weightbearing foot's coffin bone moves under the short pastern bone when a horse is turning. The article was dedicated to the memory of Jean-Louis Brochet, Denoix's sidekick and farrier who died tragically in Paris a few years ago of an unknown disease he contracted while working in Florida. We are very grateful to have Drs Denoix and Dyson on our editorial board. Both of them will be speaking at the 3rd International Laminitis and Equine Diseases of the Foot Conference in Palm Beach, Florida November 4-6. Gait Analysis: Check out this frame...no this one...did you see that? There is no question that British-based software from Equinalysis has opened people's eyes to looking at horse's loading patterns for clues to lameness or performance problems. "Landing vs. loading" is the new "static vs dynamic" debate among farriers. And the new software is being used by both camps to pile up the evidence. Now high speed video is entering the arena...literally, in some cases. Hunter stride kinetics, Thoroughbred stride length, and out of the gate collection can now be looked at under a (very expensive) microscope. Watch Hoofcare & Lameness and hoofcare.com for new developments in this area, along with important new research from Europe on the inconsistency of stride characteristics in high level performance horses. Britain’s landed gentry may be inconvenienced and incensed by the recent Parliamentary ban on foxhunting, but the spotlight for fighting the ban shifted recently from lords and ladies and even from hounds and the fox. 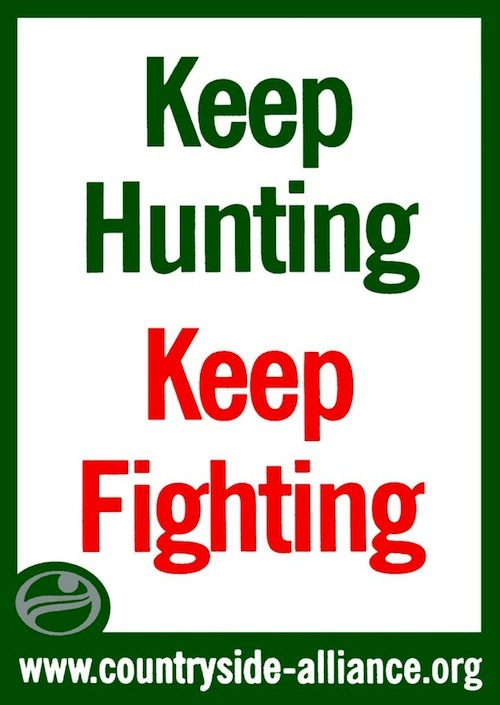 The true victims of the hunting ban, according to recent studies published in England, are rural farriers who depend on income from shoeing hunters to make it through the winter. And their national trade association intends to do something about it. A crisis meeting of the National Association of Farriers, Blacksmiths and Agricultural Engineers (NAFBAE) in December launched a course for the association to pursue in defense of its members and their livelihood. “I have written to the Prime Minister…my letter served formal notice of NAFBAE’s intention to lodge a formal claim on behalf of its members once accurate quantifiable losses have been ascertained,” wrote NAFBAE President Les Armstrong to his members in February. Armstrong noted that precedent for his action was government compensation to gun shop owners and dealers following a national ban on hand guns in the past. “I suspect the government may be liable for constructive dismissive claims by farriers who are forcibly made redundant (unemployed),” he continued. 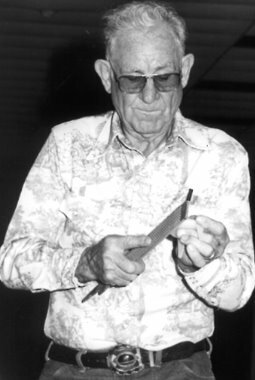 Armstrong attended the 2005 American Farrier’s Association Convention in Chattanooga, Tennessee in February, and beseeched farriers there to unite and work for and with their horse-related economic and professional partners. “Don’t let what has happened to us happen here,” he pleaded. The ever-efficient Britons report that there are 65,000 horses used exclusively for foxhunting in the UK, with another 65,000 used for hunting and other sports, plus 100,000 horses that occasionally follow hounds. The nation’s 2200 registered farriers shoe hunters every four weeks at an average cost of $80. For the average farrier, a ban on traditional foxhunting means a loss of 25 to 35 per cent of annual income. While some hunts might convert to drag or follow bloodhounds, those sports put less demand on horses and require less frequent and less tactical methods of shoeing. According to NAFBAE’s projections, lowered demand for shoeing will mean that 17 fewer apprentices per year will be needed to enter the slackened trade, and that the hardest effects will fall on young farriers leaving apprenticeships to start their own businesses; NAFBAE projects that 17 farriers working as employees for larger firms.will lose their jobs. Also addressing the NAFBAE membership in December was Miles Williamson-Noble, Registrar of the Farriers Registration Council (UK), who discussed the possible legal “aiding and abetting” ramifications of farriers shoeing horses as if for traditional pursuit of the fox with hounds. An added irony of the government ban on hunting is that the government also funds the training of farrier apprentices. The FRC’s report on hunting suggests that many farriers will need to re-locate away from rural areas dependent on hunting as a base for the local horse economy. The poster child of the overthrow-the-ban campaign is not the upper class British horseman, but an outspoken farrier’s wife, Mair Hughes, who was one of three plaintiffs in a high-profile lawsuit against the government; they complained that the foxhunting ban’s pressured passage by Labor party members violated the Parliamentary Act. When the lawsuit failed, the loss of income to farriers took center stage, along with a challenge to the European Union’s Court of Human Rights, where the decimation of the British rural way of life will be charged as a means to force Parliament to reverse the ban. Added to the lost income to farriers is the trickle down effects on horseshoe retailers and manufacturers and other horse-related professional service providers such as saddlers, grooms, feed and hay dealers, and veterinarians. Earlier this week AFA President Craig Trnka made a decision to thank the Farrier Education/Registration Task Force for their work. He and the Executive Committee feel that they have accomplished their mission. They have researched the issue, filed a report with the Board of Directors, and made recommendations for the adoption of resolutions. The Board has accepted their report and approved three of their resolutions. Letters of appreciation will be sent to Walt Taylor, CF (Chairman); Gene Armstrong, CJF; Mike Miller, MD, CJF, AWCF; Mitch Taylor, CJF; and Tom Wolfe, CJF. Again, in accordance with the AFA bylaws, Craig has elected to name a new Task Force to follow through on the decision of the Board to create and implement the survey of the farrier schools. We are currently seeking out members AND non-members to serve on this new Task Force. A number of farriers have already indicated their willingness to serve, but we want to be as inclusive as possible. Here’s your chance to serve your association and the farrier industry. The Chairman of this new Task Force has not yet been named. If you or someone you know would like to serve on the Task Force please contact me directly. We are extending this invitation to serve to the BWFA, Guild of Professional Farriers, and others. The American Farrier's Association published a blast of documents today on its members' web site, www.americanfarriers.org, and AFA Executive Director Bryan Quinsey "went public" in a forum on the web site www.horseshoes.com, where he candidly discussed the recent controversy between the AFA and a vocal group of offended members. At the same time, the AFA published the first edition of a new members-only newsletter, No Foot No Horse, which will be published from the AFA's Kentucky office. According to the newsletter, the AFA's once-secret task force on farrier regulation and education has been disbanded, and a new group is being formed with the sole function of studying farrier education in the United States. The news came as a great relief to many AFA members who were confused about the AFA's new direction and political agenda and felt that they had not been informed of major policy initiatives by the executive board. Unfortunately, rumors are flying through the farrier world and even in the horse industry that farrier licensing is an imminent threat to the profession in the United States and that the AFA has betrayed its members, many of whom joined the AFA because they felt it offered an alternative to external governance of the trade and would act as an advocate. Other members would like to see licensing become a reality. All farriers say that they want full disclosure from the AFA on this important matter that affects their livelihoods. Today's steps by the AFA are hopefully the first of many in that direction. 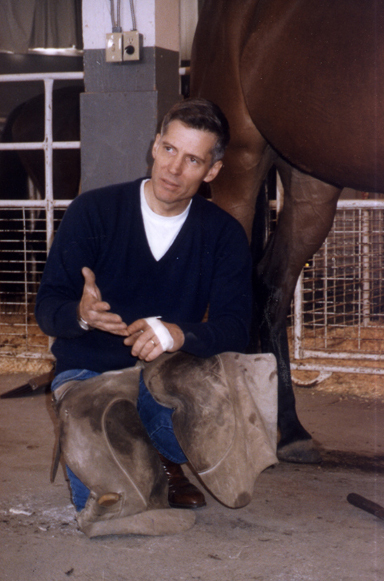 Doug Butler Speaks Out on Farrier Regulation and Education "Crisis"
Doug Butler, author of the leading textbook on farrier science in the world, has spoken out on the subject of a perceived "crisis" in the way that farriers are educated in the United States. 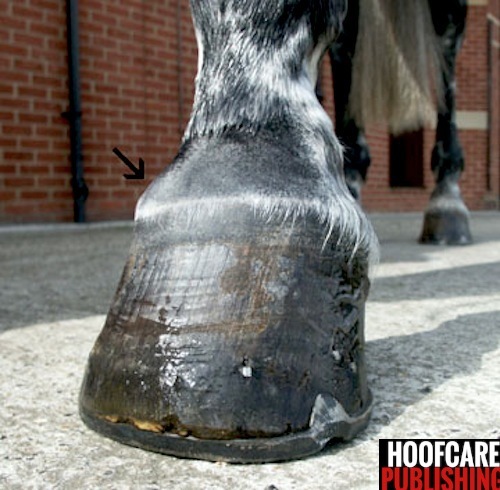 Working with Hoofcare & Lameness editor Fran Jurga, Dr Butler has written a short statement on farrier regulation, which was the hot button item on the agenda of the American Farrier's Association at their recent convention in Tennessee in February. Dr Butler has also written a longer statement on overall farrier education, which he has been intimately involved in for decades. His book is used in the classroom or recommended as an external reference at most US farrier schools. In addition, Dr Butler has traveled to and been tested under both free enterprise and government-regulated farrier systems. "American farriers have been the envy of the world because of their freedom to practice the craft without political interference and their ability to obtain a high standard of living. "Granted, our standard of practice should be higher. This will be changed only when we attract and convert more dedicated craftsmen with the desire and integrity to adhere to high standards – not by legislating curriculums. "The call for regulation is the obsession of a few manipulators who favor bureaucratic control as a solution for all of life’s injustices. Those of us who have practiced and taught the trade for several decades have seen that politically-administered control in the hands of a few is not wise." To read Dr. Butler's and Fran Jurga's documents, please visit www.hoofcare.com after June 6, when they will be posted in their entirety. Jumper Circuit Farriers Endorse Sore No More's "Sauce"
International Farrier Service farriers Joe and Sandy Johnson of Wellington, Florida went on record recently, providing a testimonial to Equilite about their experience with what farriers call "herbal sugardine", also known as "The Sauce", made with Sore No More liniment as a base. The Johnsons were in good company; at the same time, Sore No More was endorsed by Kentucky Derby winner Giacomo. "The Sauce" was developed by racetrack farriers at Belmont Park in New York who asked Equilite to start bottling it for them. Congratulations to Kentucky Derby winner Giacomo and all his connections. Happily, this year's Derby champion counted one of our advertisers among his connections...it seems his trainers use Sore No More, the arnica-based herbal liniment that seems to pop up everywhere we go on the racing and show circuits. Great news for our pal, Stacey Small, who developed Sore No More and owns Equilite, the parent company. What about his feet? We hear that he was wearing Thoro'Bred race plates--can anyone out there confirm this? So, you want to be a farrier! Great, but could you summarize your philosophical view of hoofcare for me before I recommend a school? Matching potential farriers to farrier schools became a lot harder--or maybe easier--recently when two new schools announcedp plans to open this summer. The Academy of Hoof Technology in Lexington, Kentucky will be a branch of a successful school already operating in Germany. Run by Alexander Wurthmann, the school teaches "alternative" farriery, and advocates barefoot trimming, plastic shoes, and hoof boots. Meanwhile, in Plymouth, New Hampshire, the Bridge Gap Farrier School will be launched at a facility that will include a "founder farm" recovery center for laminitic horses. The school also will run seminars for horse owners. Robert Bowker, VMD, PhD and foam-support enthusiast Tommy Lee Osha will be part of the instruction team. We hope to have more information about both schools' actual offerings soon. Hoofcare & Lameness is honored to learn that our journal is a finalist for an award from the American Horse Publications. Publisher Fran Jurga will be on hand for the festivities in Seattle, Washington on June 11. We have no idea what the award is; last year, Hoofcare & Lameness was honored for front cover design and photography. Stay tuned! How fit and athletic can a horse be? Or, some people ask, why would you do this to a horse? If you can spare about ten minutes, visit the BBC web site and watch a video of the entire 2005 Grand National from Aintree Racecourse near Liverpool, England. Then make up your own mind. I have to admit that I had never watched it from start to finish before. I had only seen highlights and to watch it in its entirety is mindboggling. They just keep running! The world's most famous steeplechase is over three miles and takes about nine minutes. Metron's "rad in photo" technique displays a radiograph of a horse's distal limb superimposed on a photograph of the same limb and foot. This photo was sent to us by our friend John Craig at Metron Software in California. It illustrates a new capability of their PX 3.0 software. The system automatically composites the lateral radiograph with the corresponding lateral photograph so that you can see the bones 'within' the hoof capsule. 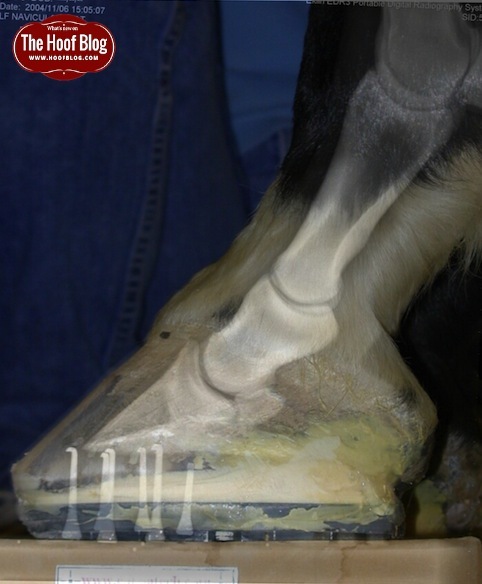 It's really interesting to see this and to show to other to help understand where P3 lies within the hoof, assuming that the photo and radiograph were dead-on accurate. Great for educational use. Farrier Gary Wade of Disney World in Florida spoke at a special conference on hoofcare for heavy (draft) horses at Tufts University vet school recently. Gary Allen Wade, 57, of Orlando, Florida, died of injuries suffered in a car crash on March 16, 2005. Possibly America’s most visible farrier, Gary Wade served as horseshoer at Walt Disney World in Florida for 32 years and shod the park’s 30+ draft horses as a daily public demonstration. A fourth-generation farrier and graduate of Cornell University’s farrier program, Wade insisted that Disney’s horses be loosely tied to the rail at the open air farrier shop, rather than be restrained as many heavy horses are for shoeing. He believed horses should not fear the farrier, and taught the Disney horses that he was their friend…all the while answering questions from the public amid camera flashes. 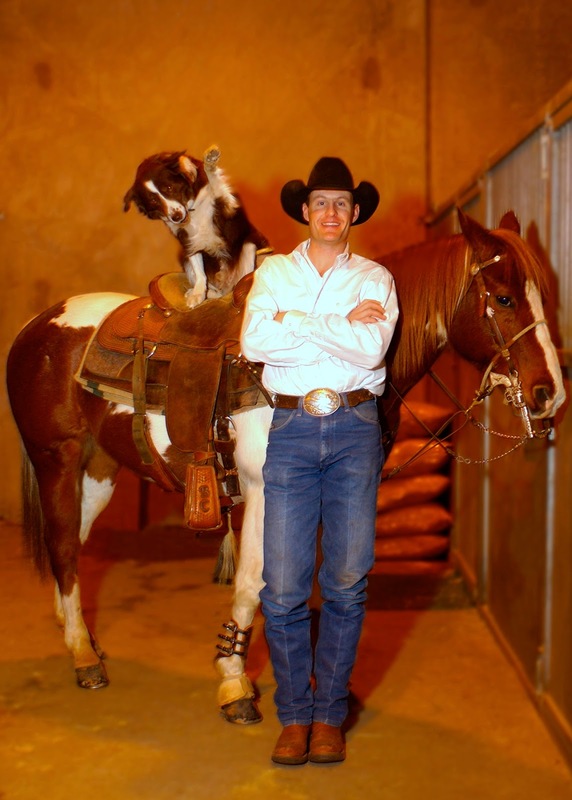 An excellent speaker and advocate for the horse, Wade was selected one of the world’s leading heavy horse farriers for the 2004 Tufts University College of Veterinary Medicine Hoofcare Millennium conference. The US Food and Drug Administration has approved maggots as a medical "device" to clean out wounds, according to the Associated Press and Boston Globe. A recent study at the University of California compared the work of maggots to the work of human surgeons. Wounds debrided by maggots removed 80% of dead tissue; surgeons removed only 48 percent. Maggots continue to be used in horses' feet for help with osteomyelitis, canker, and abscesses. To learn more: Hoofcare 78 "Maggot Debridement Therapy"